Applications for 2013-14 are now open! The closing date for Graduate Admissions for 2013-14 is Friday 18 January 2013 (or 4 January for Medical Sciences, Philosophy, Politics and International Relations). 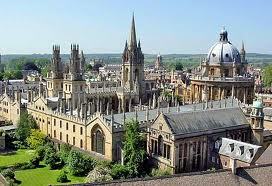 Demikianlah informasi mengenai Clarendon Fund Scholarships, University of Oxford, UK semoga berguna bagi anda.